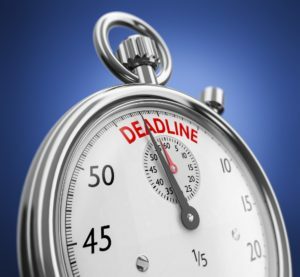 The most common question I receive from EHR vendors regarding certification is this: “What is the deadline for providers to begin using 2015 Certified EHR Technology (CEHRT)?” The answer is, “It all depends”. Background: CEHRT was required for the Meaningful Use program but is also an integral part of the current MACRA/MIPS requirements. But that is not all. There are a number of programs that reference CEHRT and here is that list. Clearly the concept of ONC Certification is not going away but is here for the long haul. Details: For those eligible clinicians affected by the MACRA/MIPS program the use of CEHRT is required. In 2018 this can be met with either 2014 or 2015 Edition CEHRT or a combination of the two. Now, what about 2019? What we have for guidance is the 2019 QPP proposed rule which is currently accepting public comment until September 10, 2018. That rule mandates the use of 2015 Edition CEHRT during the 2019 reporting period. That settles that, but what is the reporting period for 2019? Of the four MACRA/MIPS categories “Promoting Interoperability” and “Improvement Activities” only require a 90-day reporting period in 2019 with 2015 CEHRT. The “Cost” category requires a full year of reporting but does not require CEHRT as it is calculated by claims analysis. So that only leaves the “Quality Category” which has a full year reporting period. Here is where the details kick in. There are a number of ways to report the Quality Measures. If you report via your EHR then it must be with 2015 CEHRT and it must be for the full year. Bottom Line: Eligible clinicians only need 2015 CEHRT for their 90-day 2019 reporting period which could be October – December 2019. However, if the Quality Measures are reported via the EHR method, which delivers bonus MIPS points by meeting the “CEHRT end-to-end Electronic Reporting” requirement, then that module must have 2015 Edition certification no later than January 1, 2019. Thank you, this is helpful. My understanding is that PI and MIPs attestations are separate. Do EPs (specifically Medicaid EPs) reporting PI (MU) CQM for a full year also require that they have in place and ready for use a 2015 Edition CEHRT starting January 1, 2019?